It's a "Cheat Day" Thursday! 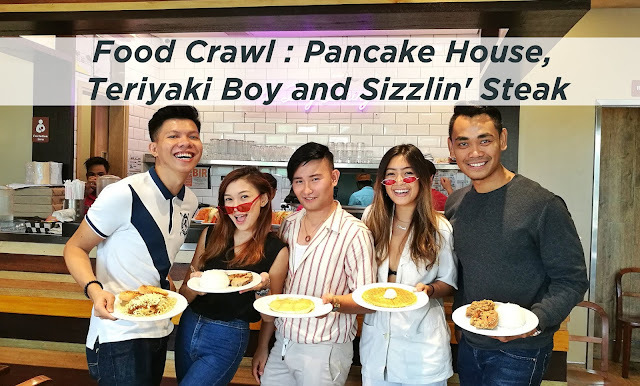 And for me, it's a sumptuous kind of cheat day as I was able to experience a gastronomic mini Food Crawl initiated by Pancake House, Teriyaki Boy and Sizzlin' Steak in Ayala Center Cebu. Such heaven when your tummy is full! 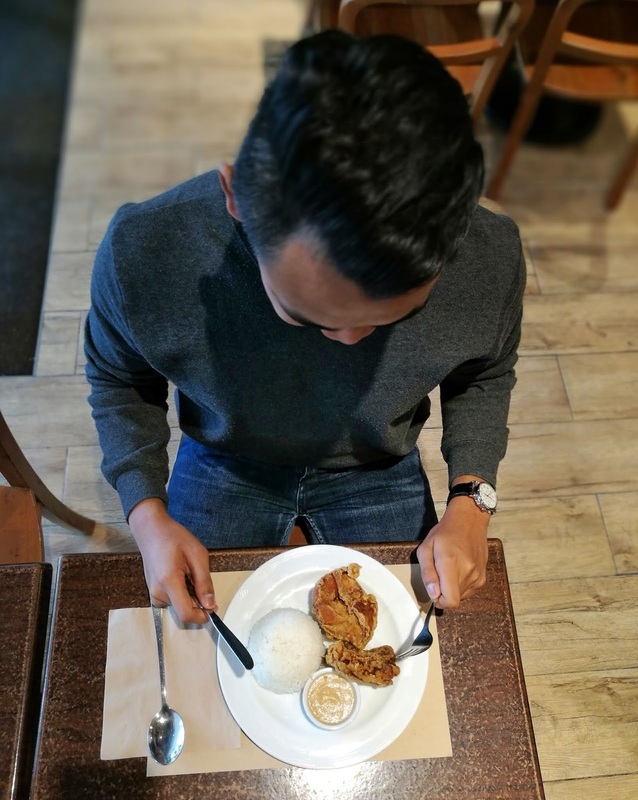 Cebu Bloggers with their fave dishes from Pancake House. Happiness in the morning it was! 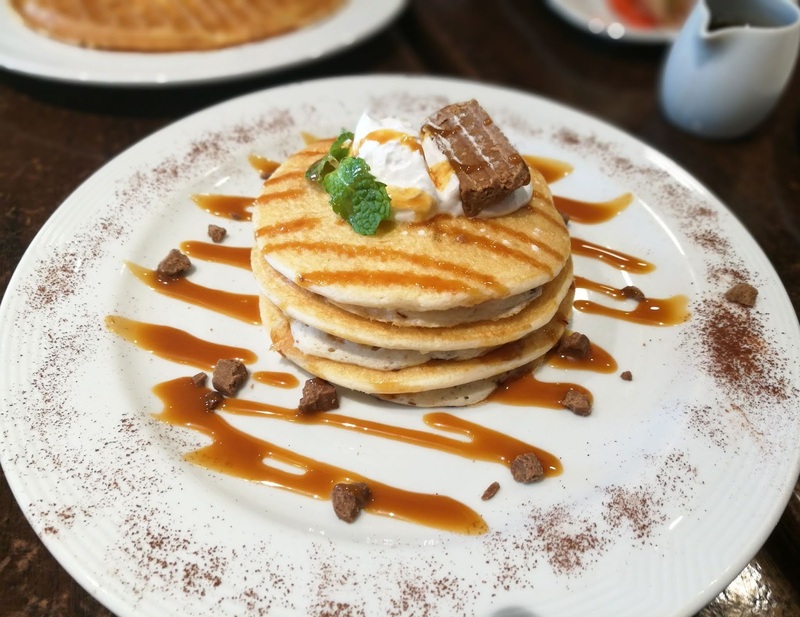 If we want to experience a breakfast away from home, then a nearest Pancake House is the right venue for us. The warm greeting of a familiar aroma, a delightful taste and a pleasant sight - these will make each visit always like coming home. Now, what should we order for breaky? 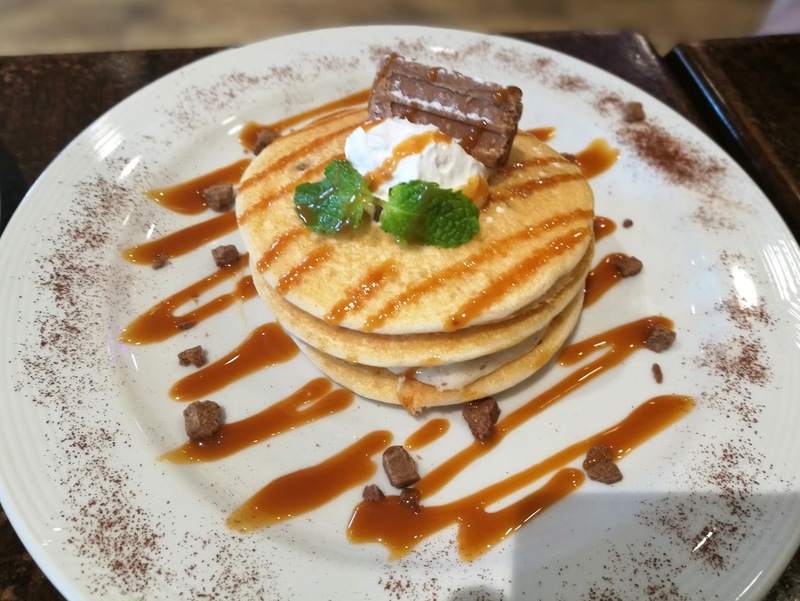 Choc nut pieces in mini pancakes, whipped cream spread in between the pancakes and drizzled with caramel sauce and topped with a whole choc nut. 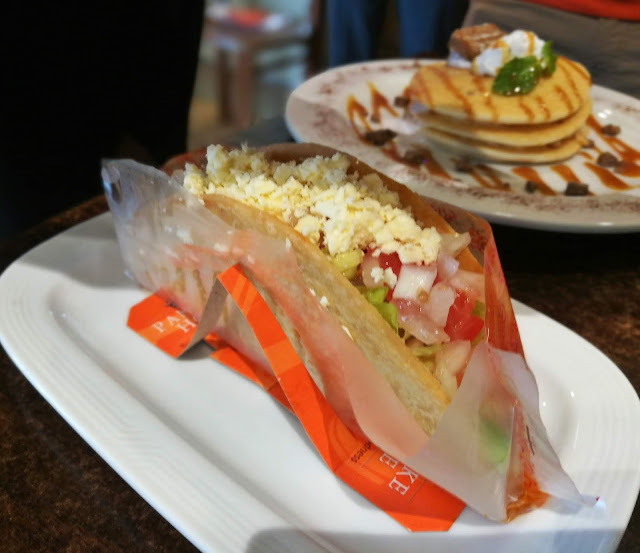 But if you wish to eat a loaded breakfast, then these options are for you! 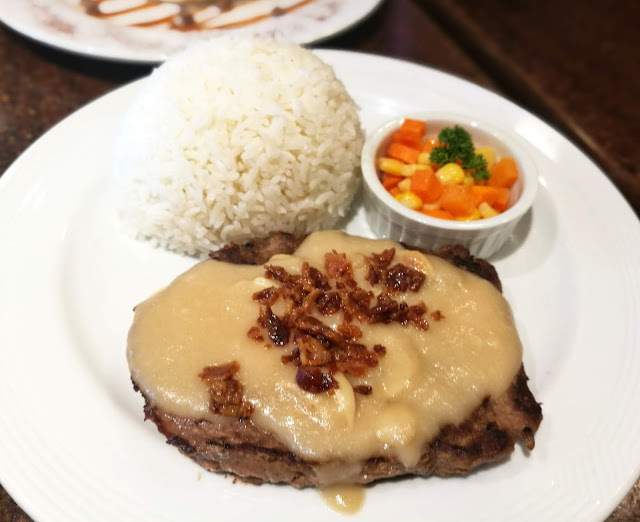 How about Pancake House Steak? 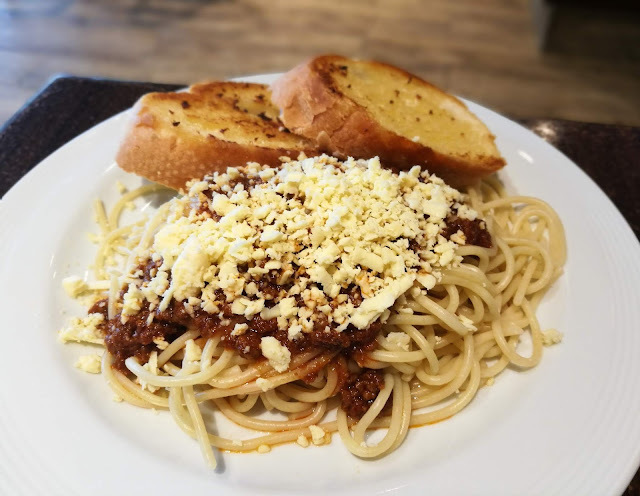 A childhood favorite you always go back to, moms spaghetti with meat sauce. Get your Pancake House favorites wherever you are, just dial 254-1111 for that craving satisfied moment. Or you can also download the Pancake House App in your smartphone. It's almost lunch time when were done with our first stop. So, it meant lunch time baby! 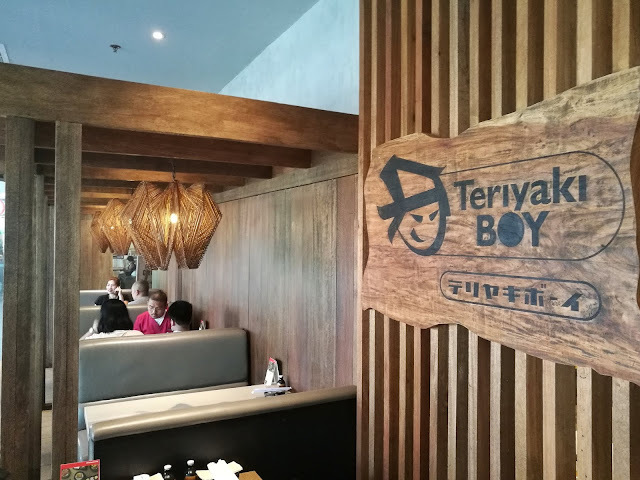 Next stop, was Teriyaki Boy and all I thought were Japanese dishes! 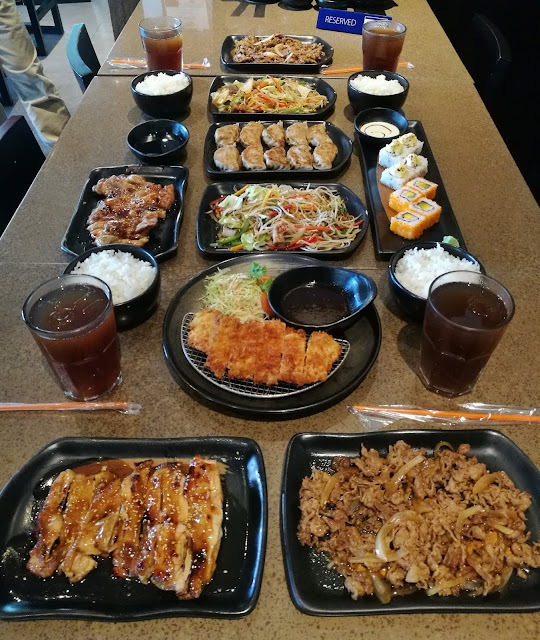 Teriyaki Boy remains popular for offering a wide variety of, yet value-friendly, Japanese food. What we had was the greatest Teriyaki Boy’s Kazoku Family Set! 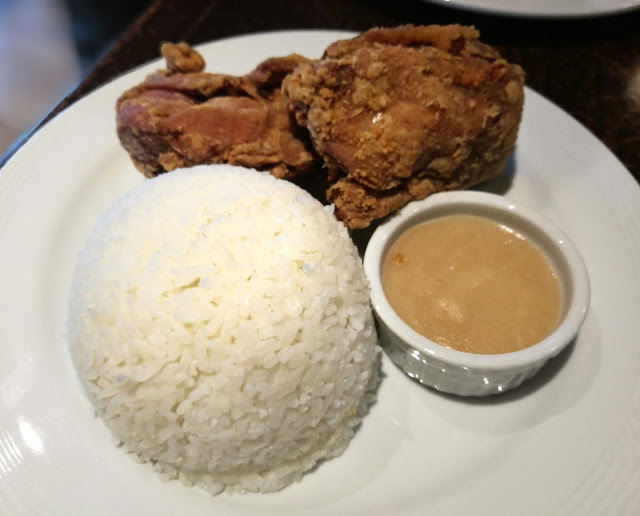 Such a glorious kind of Lunch for all of us! 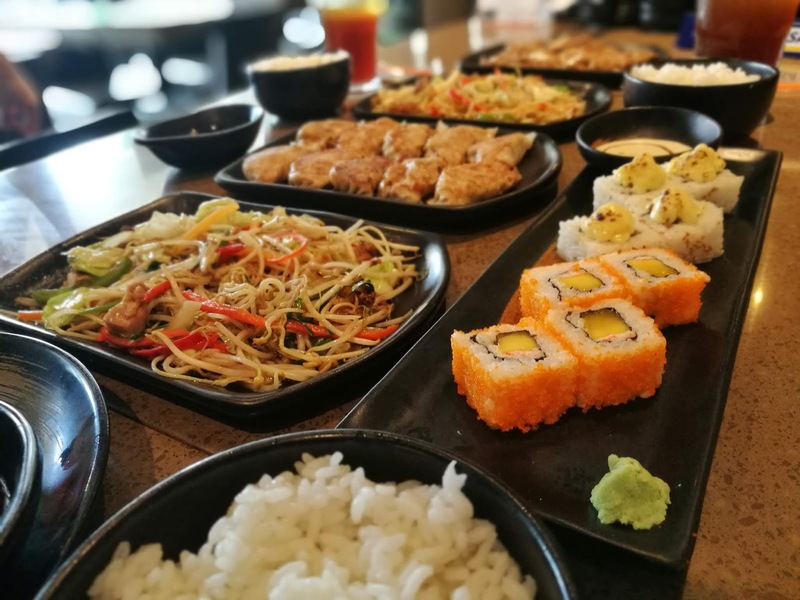 Graving for Japanese dishes, visit Teriyaki Boy teriyakiboy.com.ph or call 7-9000 for deliveries. Follow Teriyaki Boy on Social Media for exclusive treats and announcements! Of course, that lunch break won't be complete without trying Teriyaki Boy's neighbor, Sizzling Steak! That chicken and pork combo was to die for! 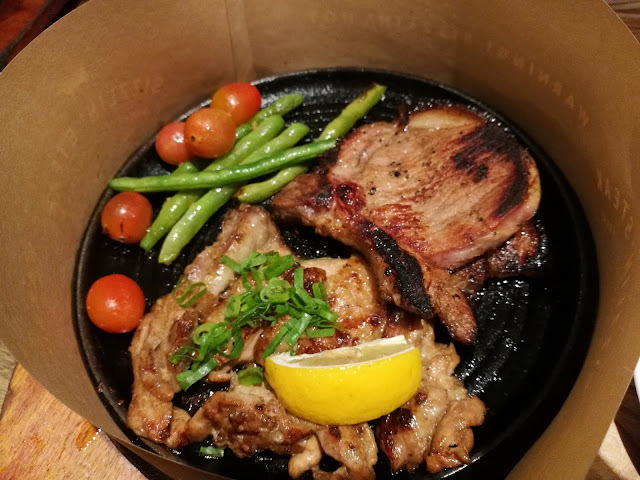 Graving for Steak dishes, visit sizzlinsteak.com or call 7-9000 for deliveries. Follow Sizzlin' Steak on Social Media for exclusive treats and announcements!